Why Has The EU Got Egg on its Face? Europe is facing its biggest food scandal in recent times with the contamination of millions of eggs with toxic pesticide fipronil. The countries affected are France, Germany, Sweden, Britain, Austria, Ireland, Italy, Luxembourg, Poland, Romania, Slovenia, Slovakia, Denmark and Switzerland. Hong Kong was the only non-EU country affected. Fipronil is a commonly used insecticide which is used to remove and get rid of fleas and lice from household pets like dogs and cats. Surprisingly it is banned in Europe for treating animals destined for human consumption. WHO has categorised Fipronil as “moderately hazardous” and the insecticide can damage people’s kidneys, liver and thyroid glands if eaten in large quantities, but food standard agencies are pretending that there are hardly any risks for those who have eaten the tainted eggs. It has been rumoured to have started when a Dutch company Chickfriend used a substance, which farmers in the Netherlands and Belgium say they used to treat their chickens. Belgium is accusing Netherlands saying that they knew about contaminated eggs since 2016 but did not inform EU about it, Netherlands denies it. Belgium has further said that it knew about fipronil in eggs in early June but kept it secret because of a fraud investigation. It then officially notified EU’s food safety alert system on July 20, followed by the Netherlands on July 26 and Germany on July 31. 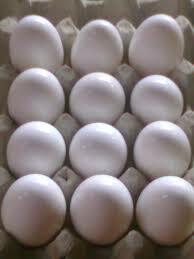 The UK food watchdog has said that 700,000 contaminated eggs were sent to UK from contaminated Dutch farms. The Food Standards Agency (FSA) however said that it was not likely there was a risk to public health. Leading supermarkets Sainsbury’s, Morrisons, Waitrose and Asda have recalled eggs products like sandwiches and salads. Belgium, Netherlands and Germany supermarkets have also withdrawn millions of eggs from sale. Acriminal investigation is being carried out by Dutch police where they have arrested two people in joint raids carried out with Belgian authorities, they are centring on two firms. Poultry Vision, a pest control firm from Belgium, is alleged to have sold the treatment to a Dutch poultry farm cleaning company, Chickfriend. Hong Kong also has been embroiled in this scandal and is the first Asian country to do so, it is very imperative that the Food Safety watchdog in India FSSAI and the central and state governments be on high alert and not allow import of any eggs from European countries and also Asian countries affected by this egg scandal or else the health of millions of Indians will be at stake. « Mumbai’s Packaged Drinking Water May Be Carcinogenic!